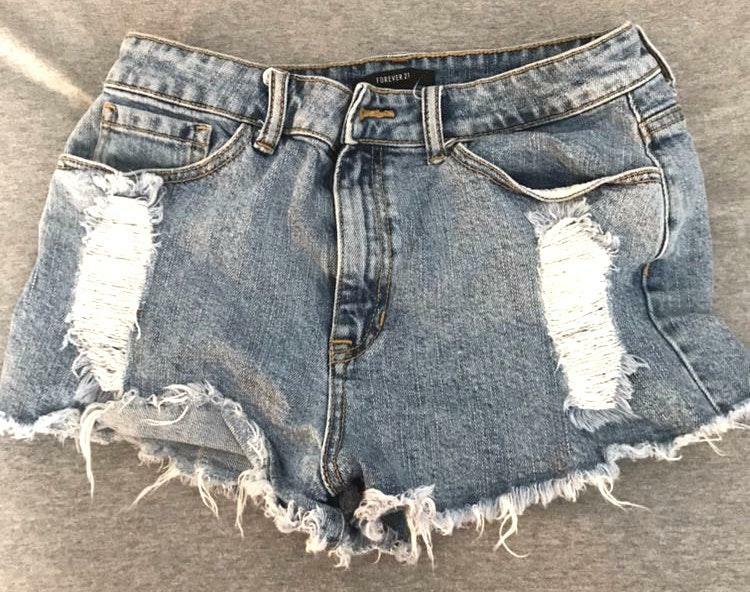 Distressed medium wash denim shorts. Frayed edges. Flattering. Rips in front are not see through.